Despite everyone’s best intentions, accidents do happen. Players do get hurt requiring medical attention and ambulance trips to hospitals. Players can also become permanently disabled, or in the worst case, die. Player accident insurance cover is available and unique in both its range and adaptability. This means that your players have insurance specific for their sport, providing the most appropriate and affordable cover. Sports professionals are particularly susceptible to career ending injuries and depending on the age of the individual concerned this may result in serious financial difficulty. Our players/Officials are one of our biggest assets. Unfortunately they can also be our biggest liability. A freak accident could instantly end a sport player's career. Long term injuries, off the pitch incidents and lengthy bans can all be a drain on their wage bill and that's before one has to pay for a replacement. These days a club's wage bill can account for up to 50% of its annual turnover, so losing a sports player indefinitely would seriously hamper any club's finances. Here we are planning to develop a insurance policy to protect countries Players financially when things go wrong. Countries T20 federations Office bearers, including directors and committee members face greater risks in their capacity with the club than ordinary members. This increase in risk is due to a growing range of Government Acts and Regulations relating to discrimination, health and safety, financial mismanagement, equal opportunity, pollution and employment practices. 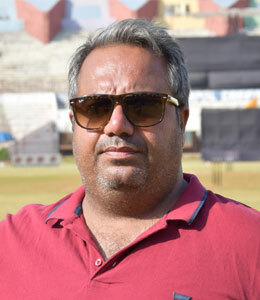 The implementation of a Directors and Officers policy can help with these issues leaving the management free to get on with the running of the countries T20 federations affiliated with Indian Cricket Academy THE ICA.